Using tool outline foam in your toolbox or tool drawers can help you better organize your tools for increased productivity. Foam drawer liners are made from a cross-link, closed-cell foam that’s durable and easy to use. To get started, just trace your tools on the foam, cut out their outlines, and place the foam and tools in your toolbox or drawer. Your tools and toolbox will both be protected and tools will be less likely to go missing. This standard-sized 12"x24" liner can be cut to fit a variety of toolboxes and tool chests. 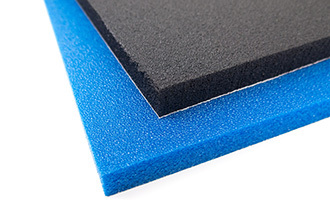 Foam Drawer Liners are made from cross-link, closed-cell foam that can withstand continual use. Cut the foam with a utility knife or hot knife and place the sheet in your drawer. Not finding the size you want? 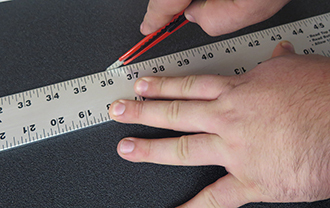 Click here to order foam cut to exactly the size you need.